Special parking permits are issued by the Traffic and Transportation Division of the Engineering Department and are intended to provide for services or needs of an infrequent or unique nature. Examples include utility work, constructions, special events, etc. More detailed information about special parking permits may be found in the Municipal Code, Sections 114-361.18-21 . 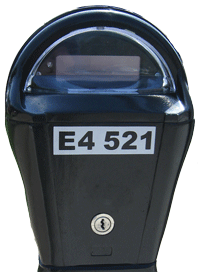 View our interactive parking meter map showing each meter by rate, hours, and payment type. Notice: The City of Des Moines requires three (3) working days advance notice to cover parking meters. Please contact the Traffic and Transportation Division at (515) 283-4973 if you have any questions. Additional information regarding Special Parking Permits is available online.